On the home settings page, which you can access by tapping on the settings cogwheel at the top of the POS screen, you will find the version number of AirPOS you are currently running. 'Status' provides a quick visual display of the status for each aspect of your POS. 'Heartbeat' basically tells you that the device is online. Usually you should see 'Success' against 'Sales', 'XYZ', 'Employees', 'Inventory', 'Settings', and 'Parked Sales' indicating when each of these was successfully processed. Occasionally you'll see the word 'Processing' in amber beside one of these elements indicating that data is being updated as shown below. 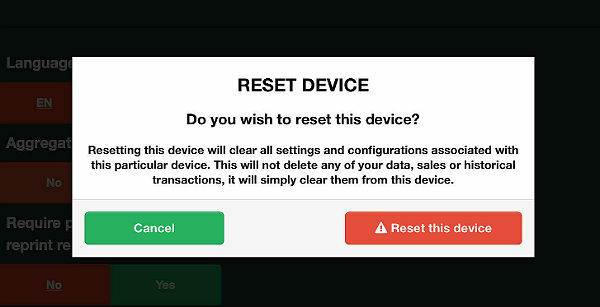 This page will let you setup printers, control peripherals and configure the cash drawer. If you want AirPOS to automatically print a receipt each time a sale is made, then make sure ‘Automatically Print Receipt’ is selected as ‘Yes’. If this is not checked, an operator can still produce a receipt by hitting ‘Print’ on the EPOS after a transaction. You can select to use an on-screen keyboard on both Android and Windows. 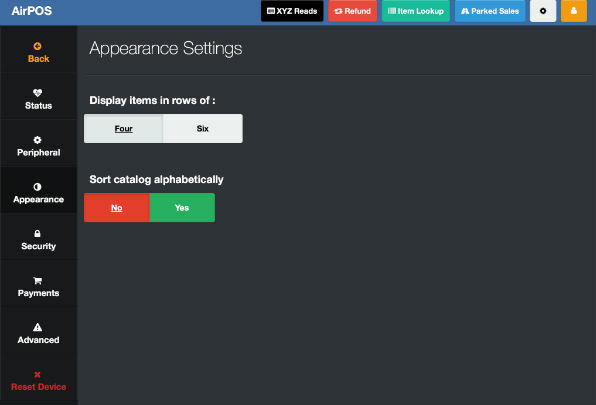 The ‘Appearance Settings’ button will give you the option to run AirPOS in full screen mode, display items in rows of four or 6 items and sort categories alphabetically. In this screen you can setup any payment integrations (PayPal Here, iZettle) that may be available and other tender types (card, cheque, gift card etc). There is also the option in advanced settings to change the language from English to French. This will take effect when you next restart the application. You can apply a setting here that will require your staff to get an elevated PIN to reprint a receipt (this would be applicable where the receipt is an admission ticket). 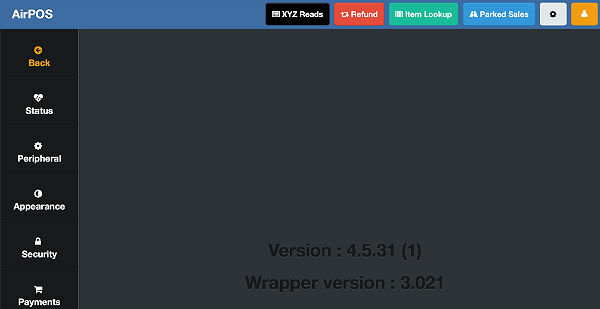 You can elevate a supervisors access to the 'XYZ Reads' in this screen if you so desire.